Our Psoas muscle is a vitally important muscle in our bodies. It not only helps us stand, walk bend etc. but it also aids in our breath and digestion as well. AND, when we are under stress (as we all are in some way) it contracts and tightens and will not be as effective for us. This lovely class will help your psoas muscle relax, lengthen and rest. Come join us for some gentle movement followed by an extended restorative posture to help benefit this muscle as well as our overall well being. Combining the soothing, relaxing and rejuvenating energy of reiki with restorative poses is what this specialty class is all about. Allowing our bodies to rest and deepen into supported restorative postures can help with our breath, muscles and joints. Adding to that the wonderful benefits of reiki which can help relieve stress and rejuvenate our systems. 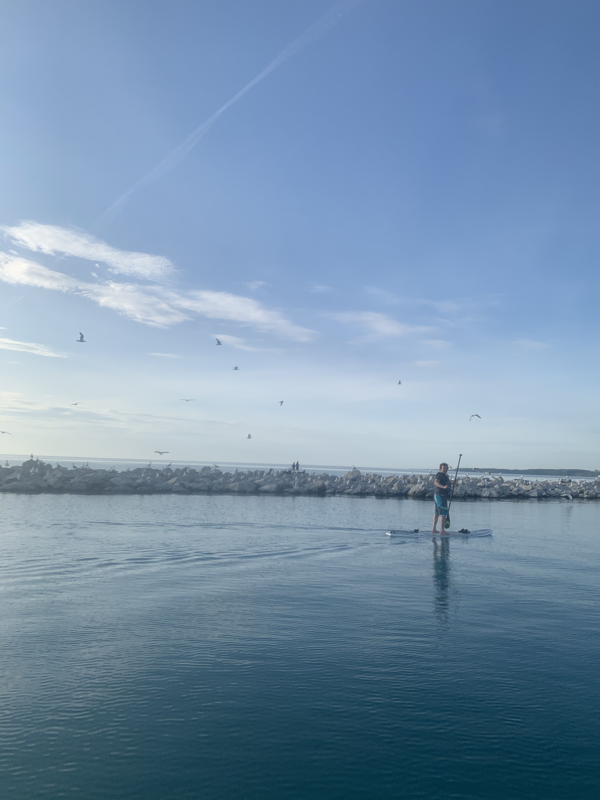 Explore the waters of our Great lake Huron standing on water. Our standup paddleboards are high quality Pulse and Infinity brands. Book a private lesson or book with a group for a class of your choice.